The Diversey Driving Range is a Chicago landmark, no doubt about that. There are bigger ranges around the country. Some also might be considered more beautiful, or more elaborate, but few – if any – have as much history or are as popular as this facility that has withstood the tests of time. 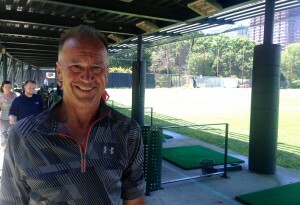 Chris Otis has enjoyed a successful career teaching golf at Diversey Range. Diversey was built between 1911 and 1913 as a six-hole golf course most notable for having tin can cups. It was eventually expanded to nine holes and Illinois governor Edward Dunne presided over the official dedication ceremonies on Sept. 9, 1916. The many golf enthusiasts in the Lincoln Park area supported the course, even with many others going up around the city and suburbs. One of the best, a nine-holer first called Waveland and then renamed Marovitz in honor of a local political figure, opened just a half-mile away in 1932. Diversey’s layout, however, took a beating during World War II, and by the late 1940s most of the land was converted from a golf course to one of the very first stand-alone practice ranges in the United States. Never has its popularity waned. 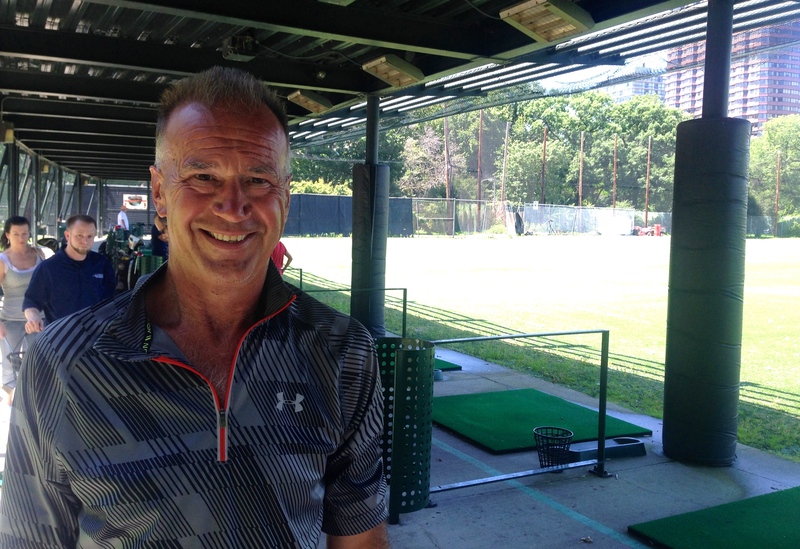 Chris Otis, who has given golf lessons at Diversey for 32 years, knows why. 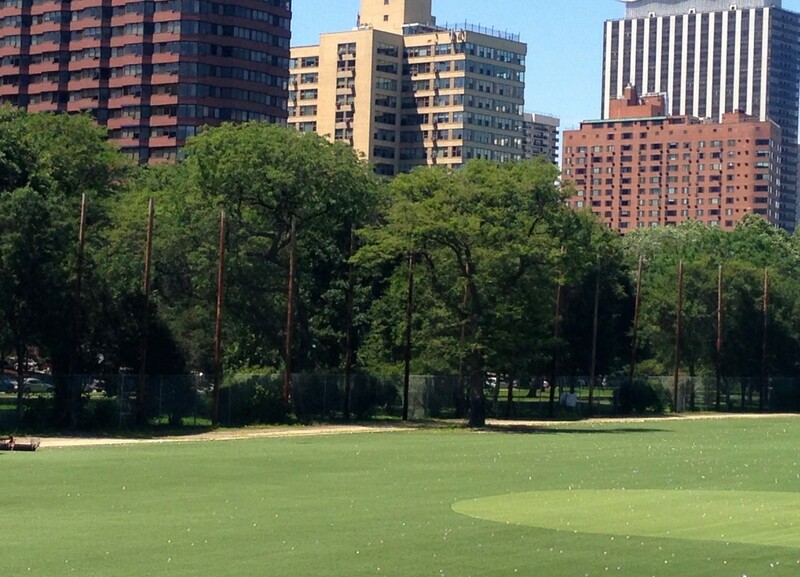 Situated in the midst of skyscrapers, Diversey Range has become a haven for Chicago golf enthusiasts. Diversity, surrounded by high-rises, adjoins busy Lake Shore Drive and the boats of Lake Michigan dock near the entrance. Chicago doesn’t have any locations left to match this one for a golf facility. The range was self-operated until 1993, then KemperSports – a management firm based in the suburb of Northbrook – took over on a privatization agreement. KemperSports, which has since bolstered its portfolio nationally and even internationally, operated all the Chicago Park District facilities (the range plus four nine-holers and one 18-hole course) through 2008. Diversey’s capacity was doubled with the creation of a double-deck range while KemperSports was in charge, and lighting was also added to allow for nighttime use. That only increased the demand for practice opportunities, and wear and tear became increasingly obvious in the late Kemper years. The balls would stick in mud after heavy rains, and they continued to accumulate until the Park District installed artificial turf on the range in 2008. Billy Casper Golf took over management of the range and Park District courses on Jan. 1, 2009. Two years ago two synthetic putting greens were added to the Diversey facility, supplementing a nearby miniature course that was already thriving. 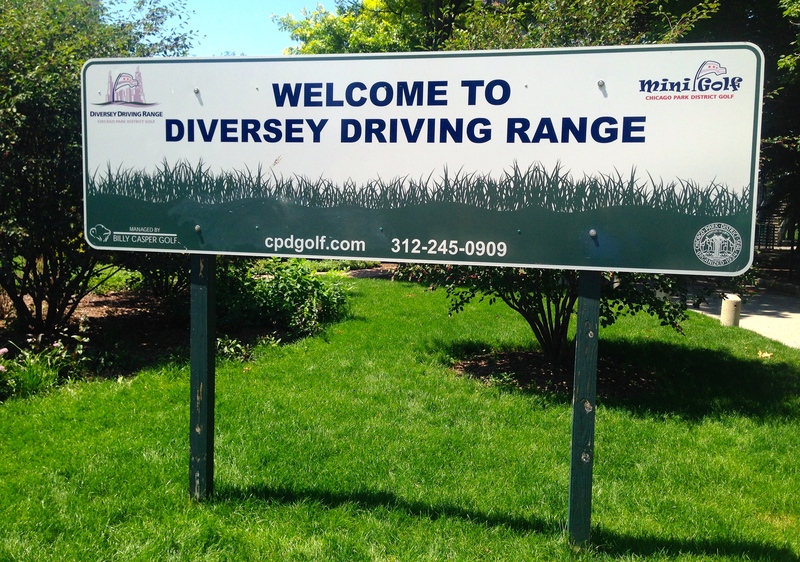 Jered Wieland, Billy Casper Golf’s general manager for all the Chicago Park District facilities, knew he had a good thing going at Diversey. There’s no grass hitting areas, but Diversey apparently doesn’t need them. All the hitting is done off mats and there are players who can drive beyond the friendly confines of the range. It takes quite a poke, though. Wieland said the back fence, about 30 feet high, is about 300 yards from the hitting bays. That’s enough for most players, and all types have taken advantage of the facilities. They have included celebrity types like Michael Jordan, Mike Ditka and Jonathan Toews — captain of the Stanley Cup champion Blackhawks who hit balls almost daily when his team was making its playoff run. Diversey remains open year-around. Only the lower deck is used in the winter, when it’s partially enclosed and heat lamps are installed. During the non-winter months the facility opens before sunrise and closes after sunset seven days a week. Some people like to hit balls at 7 a.m., before they go to work. Others beat balls until closing at about 11 p.m.
Bunkers at 50, 100, 150 and 175 yards provide yardage guidelines for golfers who pay $10 for a small bucket (50 balls) or $16 for a large one (100 balls). Discount cards are available for regulars, seniors and juniors. Otis is among six instructors from the Chicagoland Golf Academy to cover teaching needs and First Tee of Chicago operates on the premises. For those teaching pros, organized by director of instruction John McCartin, the setup is ideal.